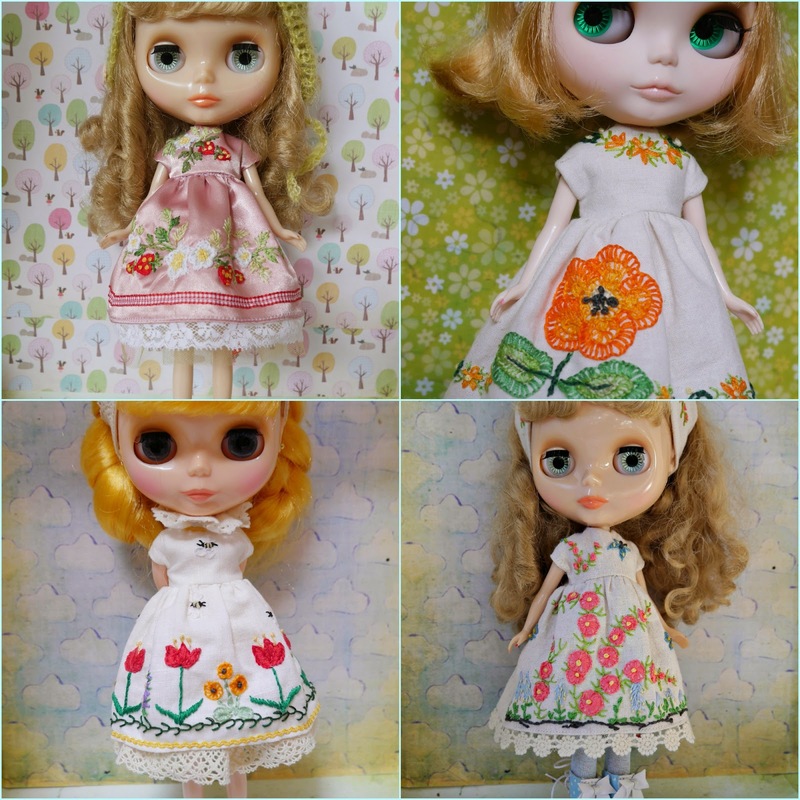 la petite chouette: Sewing pretty things! A weekend of crafty business was had here at La petite chouette. I have a mother who is very very talented, she does all sorts of crafts crochet, knitting but her real talent lies in her embroidery skills. I get her to embroider pieces of fabric so I can make pretty dresses for my dolls. Everyone she finishes is differet to the previous one. This particular one went into my Etsy store and was snaffled up immediately...........I am glad there is other ladies out there that love my mums work as much as I do!! You can see her tea cosies at her shop Teapot Rosie and here is a few more of her creations.